As I left the theater from seeing the movie Dunkirk, I came to the realization that I had no idea who the main character was. What he stood for, where he came from or even his own name. In fact, I knew very few of any of the characters in this movie. Of course that was for a reason Christopher Nolan planned out from the beginning. There’s a reason why this movie has very few scenes of dialogue, because it’s not important. This is a type of movie that doesn’t need to tell you a lot in expositional conversations, mostly because it’s simple to understand. The Germans have closed in on the British and French during the second World War and have pushed them near the ocean. They now have to do anything they can to survive and their best bet is to make it across the English Channel with several destinations that are only about an hour from where they are retreating. However, with Germans quickly closing in, the lack of planes for their defense and morals quickly dropping, all seems hopeless. This movie shows (spoilers) how they were able to succeed and make it to the title location. And of course let me just say that is done beautifully. if Christopher Nolan wasn’t a director he should’ve been a historian. Everything in this movie is an accurate depiction of what it’s like being in that war. There’s no Hollywood explosions or an obscene amount of blood with limbs flying off. The dog fights in which planes from either side go head to head is the best example of this. As each pilot tries to outdo each other for survival we don’t see the flash of gunfire from the planes or balls of flame when the aircraft crashes into the sea. We hear it, then see the subtle smoke arise from the plane. To me this makes or breaks a serious movie, having unneeded explosions would change its tone and Christopher Nolan knows this. He’s been here before and doesn’t mess around. Since there’s not a lot of character dialogue in this film, the acting sticks out more and in Dunkirk it does just that. The cast in itself has its no shortage of stars, with names such as Tom Hardy, Cillian Murphy, Mark Rylance and Kenneth Branagh. Trust me, those names alone are enough to make a great movie but what really stood out to me where the two new actors that stole the screen. Fionn Whitehead who plays Tommy our main character does a fantastic job of showing us how he feels. He has his first conversation nearly halfway through the movie so his outlook on the situation is what we mostly get out of him. His mannerisms and emotions are his selling point and he nails it. What really got the people buzzing was that Harry Styles was going to be playing a big role in the movie. Styles who is known more for his singing ability in the big hit band “One Direction” than his acting turned some heads the other way. 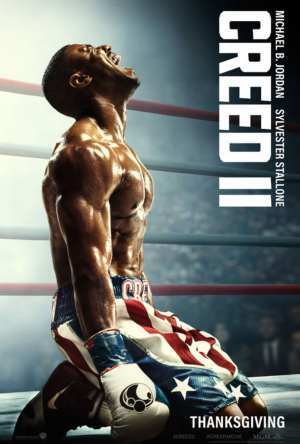 Since this was his first big movie I was skeptical but I’ll admit that he proved me wrong. He played Alex a companion of Tommy’s as they both do their best to survive. Styles has energy, compassion and showcases his frustration very well in not seeing any chance of living. Overall Nolan does it again in creating an absolute gem of a movie. A sure to be blockbuster and a great war movie for years to come. Dunkirk is directed by Christopher Nolan and stars Harry Styles, Mark Rylance, Kenneth Branagh, Cillian Murphy, Tom Glynn-Carney and Barry Keoghan. It is a film about the true story of the Dunkirk Evacuation during World War Two, where the Germans have cornered the British army on the coast of France, and the royal navy are trying to evacuate them before the Luftwaffe wipe them out. Christopher Nolan is a phenomenally talented director, who has previously directed masterpieces like Inception, Interstellar, Memento and (of course) the Dark Knight Trilogy. He’s one of the few directors who hasn’t made a bad movie in my opinion, and therefore I had expectations for this movie to be good. From the opening scene of this movie, I was completely transfixed – the way this film is constructed is completely authentic, from the sound design, to the costumes, to the set pieces (which are, so far as I am aware, completely genuine). Christopher Nolan did such an incredible job at making this film as realistic and as immersive as is humanly possible, and it payed off wonderfully in my opinion. When the action sequences hit, they are brutal and frightening, and, above all, they are supremely authentic. Many of the actors in this film have been in previous Nolan films (namely Cillian Murphy and Tom Hardy) and what I was surprised by was how, for some characters, they barely talk for the first half of the film. The greatest degree of dialogue is given to Mark Rylance and his situation, which is peculiar from a certain point of view because he is probably the most ordinary character in the entire film. In fact, that being said, almost every character in this film seems completely ordinary in the long run, and that is a major plus. Even the most relevant characters you would expect from other films (say, the high-ranking officer caught in the crossfire) seems like a secondary character of equal mortality to the ordinary people. This reflects, perhaps, what Nolan was going for in this film, and that is depicting the situation itself in the story as opposed to depicting certain characters who are caught in a terrifying situation. There are so many characters in this film (excluding the incredible number of extras who are utilised throughout this movie) that it is very difficult to distinguish a particular performance as the outstanding one, however my personal favourite performance in this film is that of Mark Rylance. This man was brilliant in this film – he plays a man who is sent to aid in the Evacuation, and takes his son and friend with him rather than letting the royal navy commandeer his boat. As he gets closer to the Evacuation, and his situation becomes even more complicated, I started to become more invested in his situation alongside everybody else’s. There are particular scenes where Rylance diverts from his destination in order to rescue crashed airmen, and it doesn’t feel like a stupid decision because it works for the situation that Nolan was creating. Kenneth Branagh is in this movie, and he is also very good, but aside from him, and Harry Styles and Cillian Murphy and Fionn Whitehead, there are no other characters or actors who did a superior performance – which, I feel, is deliberate, and also a very good move on Nolan’s part, because this film, again, doesn’t focus on the people, but on the situation. Sure, I was biting my nails at several points throughout this movie because I cared about them and hoped they would make it out, but that only enhanced the fact that the situation was the focus of the film, as opposed to a major character arc. Perhaps the biggest result of this approach was the fact that, almost from the opening scene of this film, there isn’t a single scene where the Evacuation is paramount, and when characters aren’t approaching or enduring major danger. What I find most commendable about this is the fact that this is what it would have been like for the actual soldiers who fought at Dunkirk. Overall, this film was an absolute blast from beginning to end – there wasn’t a single shot or set piece that I didn’t believe, not a single scene where I thought an actor wasn’t giving a convincing performance. Hans Zimmer’s score, as per usual, immerses the viewer into the environment and really sells the intensity or sensitivity of the situation. Christopher Nolan has created yet another masterpiece of cinema that I loved watching. Dunkirk is directed by Christopher Nolan, and stars an ensemble cast of British and Irish actors: Fionn Whitehead (in his film debut), Tom Glynn-Carney, Jack Lowden, Harry Styles, Aneurin Barnard, James D’Arcy, Barry Keoghan, Kenneth Branagh, Cillian Murphy, Mark Rylance, and Tom Hardy. The film depicts the events of the 1940 battle in the northeastern seaside town of Dunkirk. The film is told in the form of a non-linear narrative (in the same spirit of a lot of his other films), and is told in three different perspectives, covering three different periods of time: the battle on land (which lasts one week), the battle at sea (which is one day), and the battle in the air (which lasts one hour). 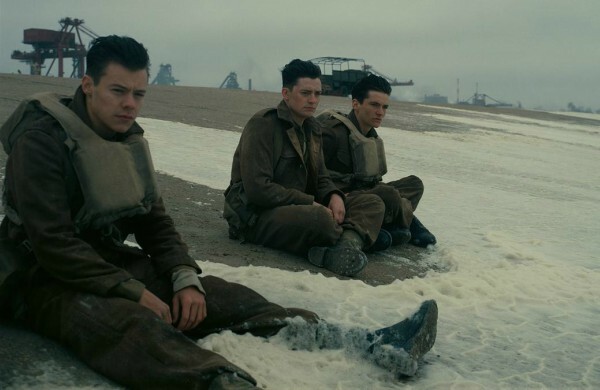 In the land battle, a young soldier named Tommy (played by promising newcomer, Fionn Whitehead), along with a group of other soldiers, attempt to evacuate the doomed-fated German-occupied town of Dunkirk, hoping to make it home in one peace, but face brutal obstacles along the way. At sea, a group of mariners, led by Mr. Dawson (played by Mark Rylance), are sent to assist in the evacuation, and are faced with a difficult situation when they pick up a shell-shocked soldier (Cillian Murphy) along the way. In the air battle, a Spitfire fighter pilot named Farrier (played by Tom Hardy, one of my favorite actors), and his crew find themselves caught in a deadly air battle with Luftwaffe enemy planes. This film is incredible. This is, without a doubt, one of the most realistic war films that I have seen yet. This is a different kind of Christopher Nolan than the one that we’ve seen in the past. One thing to note about this is the film’s PG-13 rating. While all of Nolan’s blockbuster films are PG-13 rated, keep in mind that this is a film about WAR that we are talking about. When people think of a war film, the first thing that comes to their heads most of the time is the tragedy and brutality that war brings. These types of films usually have large amounts of blood and gore, to make the film seem as realistic as possible. At first, the PG-13 rating of this film left me a bit skeptical, considering the fact that most war films are rated R. Honestly, I think the PG-13 rating works perfectly here. This film is meant to put more of an emphasis on the suspense and horrors of war, rather than the sheer brutality that is depicted in these kinds of films. The running time was initially another red flag that I had before I saw this film. At only 1 hour and 45 minutes, this is the second shortest film that Nolan has made (next to his first film, Following). Most of his films are known to be extremely long, sometimes even bloated, running times of 2 and a half, to nearly three hours (The Dark Knight Rises, Interstellar, and Inception are all perfect examples)! 1 hour and 45 minutes definitely doesn’t sound like a running time that a war epic would have. This judgement eventually left me, when I finally saw the film. The running time worked perfectly here! The intensity, and story is all packed together, nice and tight, into a flexible hour and a half, allowing for as much pace and action to be in the film as possible. When people think of a war film, there are the usual tropes that come along with such a genre. Dunkirk is one of those films that breaks the status quo of all these films. It defies all expectations in the war film genre. When people think of a war film, there are the usual tropes that come along with such a genre. Dunkirk is one of those films that breaks the status quo of all these films. It defies all expectations in the war film genre. With many of Nolan’s recent blockbusters putting an emphasis in computer-generated effects, all the effects that are in this film are practical. The boats and planes that are shot and destroyed, are all REAL. The explosions in the film are all REAL explosions. The soldiers in the film are all real extras, not CGI-animated clones. This is what adds so much of the realism, and I see it as a refreshing break from the tropes that Nolan is known for. The action, along with Nolan’s direction and Hoyte van Hoytema’s cinematography, are all beautifully executed. Nolan makes every shot matter in this film. Each scene is drenched in atmosphere, whether in the confined cockpits of the Spitfire aircrafts, to the insides of the U-boats, or in the exterior location of the fogged, somber, death-ridden beaches, each scene has its own sense of claustrophobia, paranoia, or desolation. Unlike a lot of Nolan’s other films, which feature vomits of exposition, this film has barely any dialogue at all. The only dialogue that is ever spoken throughout this film is dialogue that adds to the film’s story. Like the film’s shots, there is also never a wasted line of dialogue. This film feels like you’re watching a documentary. There will often be scenes where there is almost no dialogue at all, and the characters are just acting through actions, and expressions. Despite the film not having loads of dialogue, all the actors, specifically Cillian Murphy and newcomer Fionn Whitehead, do such an excellent job! Another aspect of the film that I appreciated, was the characters. There is no main character in this film. Each one of the characters in this film are given a fair amount of screen time, so no character’s arc or story feels more important than the other. Not all the characters have a happy ending, or meet a peaceful fate in the end either, which adds to even more intensity in the story! This film is quite unpredictable in certain parts, which is another aspect that I appreciated. Even the enemies in the film are ambiguous as well. We never see the faces of the enemy German soldiers throughout this whole film! It gives a “hidden threat” kind of vibe, which is not seen a lot in films. The film’s nonlinear plot structure may throw off some people at first, but this is what it is meant to do. It’s meant to add a sense of delirium and stress into the viewers. This is what makes Nolan’s films so brilliant. The man is a master of suspense, with every film that he works with, no matter what genre it may be. Whether it be a mind-warping crime thriller like Memento, a superhero Gothic like The Dark Knight, or a thought-provoking science fiction epic like Interstellar, he knows how to make the most of narrative and characters, and this film is further evidence of that. The sound mixing and design in this film is some of the best that I have seen in years! The audio is beautifully crafted and enrapturing. The sound effects of the guns firing, the bombs blasting, and the planes soaring are all perfectly mixed, sound exactly how they would have sounded in the real battle at Dunkirk. Hans Zimmer’s haunting score is also another beauty to behold. The musical score is both beautiful and horrifying. Zimmer has been Nolan’s go-to composer of music for quite a while now. From the Dark Knight films, to Inception, and Interstellar, he is one of the greatest film composers to ever walk the planet. I made the best decision of seeing this film in Dolby Cinema IMAX. THAT is the way to see this film! If you are given the chance to see this in IMAX, do so! You won’t regret spending the extra few dollars by switching this film to the best quality possible. While Nolan is used to making mind-bending films, with unexpected twists, and philosophical themes, this film is a straightforward war film, in the best sense. From the opening shot, to the ending of this film, you’re sucked straight into the action! I see this as a big step for Nolan, and definitely one in the right direction. I love how Nolan has stepped out of his comfort zone, and has made something both fresh, and incredible. This film is phenomenal in every sense of the word. See it in Dolby Cinema if you can, and experience this viscerally paced, emotionally resonant war drama in the best way possible. Let us begin with the way the story is shown by director Christopher Nolan which is simply incredible and gives way to the imagination of what was coming for the British and French army. Dunkirk gives this eerie feel to the elephant in the room; Hitler and the axis powers who are not shown on screen but leaves any viewer with some historical knowledge aware the Germans are looming over 400,000 soldiers who nervously wait hat in hand for their fate, all Hitler has to do is snap to cease the existence of Britain as we know it on the jaws of Dunkirk. Instead of taking the typical Hollywood route Nolan focuses on the evacuation, the imagery, the sheer enormity of the task at hand and leaves towering figures such as the likes of Churchill (who recently had his own terribly inaccurate biopic told for the tenth time) as merely a mention – this is a soldier’s story, a people’s story. Hans Zimmer brings back renditions of the Dark Knight with the soundtrack piercing into your eardrums as the skies roar above with the spray of spitfire bullets hitting the Luftwaffe like rattling drums. One cannot help but feel nervous and uncomfortable with the soundtrack and in a movie depicting such a terrible event and time there is nothing more fitting. Dunkirk makes you feel as small and helpless as every soldier felt that fateful day and effortlessly avoids pitfalls nearly every war movie makes to glorify the victory while hammering home the evil of Nazi Germany which takes away from the big picture that ALL war is evil. In war sides survive, nobody wins and seeing it depicted in ways like this goes along way for showing the humanity of one side to the other – imagine propaganda films in the early 1940’s showed a little more of that! Right in the cockpit is how one feels during one of several intense Dogfight scenes as we are kept up close. Just as impressive is historical accuracy keeping inline with what occurred as the real heroes of the RAF fought off the Luftwaffe much further away from the beach to allow the evacuations to even be a possibility and we stay focused on the evacuation not the full scale war. Tom Hardy who can do no wrong lately (fresh from Taboo – go see it!) is the all-star in stellar cast who once again blends in effortlessly to the picture instead of controlling it and this movies momentum builds as every actor keeps stride. As a period piece it is important a movie looks the part and aside from the colouring of the dropped leaflets Dunkirk is absolutely on point from uniform, to locations to planes all of this attention to small details will keep the harshest historians happy. Action is directed very smartly and replaces blood and guts with that distant feel and imagination asked of the viewer again and again. Darkly mesmerising is the only way to describe in my eyes the early bombing scene as a soldier cowers on the beach as each bomb hits, bam, bam, bam, boom till a soldier disappears near him and you are left to think of the horror laying just off screen, not see it. In closing go see this movie and when your children are of age show them movies like this and let them understand what happened all these years ago. It is hard to imagine that this really was one of the major turning points of the war and has given way for you and me to be where we are right now. No one knows exactly why Hitler chose to not annihilate the British Army and hold back for three days some even believe he wanted peace with Britain but whatever occurred many sacrifices where made at Dunkirk and it is the job of every film maker and company to do these sorts of films justice (we’re all sick of Hollywood BS) and I can gladly say this certainly was a Victory. *historical fact leaflets dropped made good toilet paper for soldiers something we all take for granted now ! Their shell shock is our PTSD. Their nudging to the head of the line is our last man standing. Their dog fights in the air is our surface to air nightmare. Their civilian armada to save the day is to our more military assets to the scene. Dunkirk defines the long standing credo that “war is hell”.